compromise on quality or performance, with the fastest processor to date and a 5 megapixel camera. 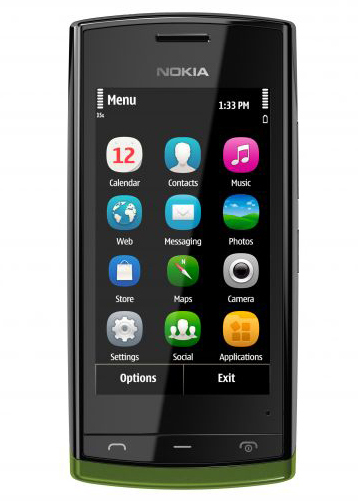 Nokia 500 has access to Nokia’s latest maps technology, optimized for social networking so check-in to locations is possible anywhere. 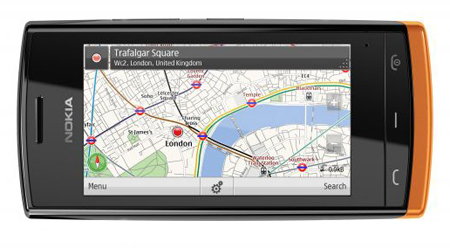 Offline voice-guided walking and driving directions in over 80 countries help to avoid hefty data roaming charges. Nokia 500 is the newest addition to Nokia’s Symbian-based mobile phones, the Nokia 500 is built on the latest Symbian Anna user experience with enhanced software features, a faster Web browser, and new Ovi Maps.It includes Nokia’s latest Web browsing technology, which when paired with the powerful processor, delivers a more satisfying Internet experience. The Basics, Facebook and Twitter, and live chats are updated directly on the homescreen. The Nokia 500 is one of the fastest yet most affordable smartphones in the market today, allowing people to do Multi-tasking of apps open at the same time, switch between apps quickly and easily, and run the most demanding apps without slowing down the phone. The Nokia 500 comes pre-loaded with some music and entertainment apps such as Shazam Encore, Gig Finder, Lonely Planet, and Michelin guides. Nokia 500 will come with two different interchangeable back covers. 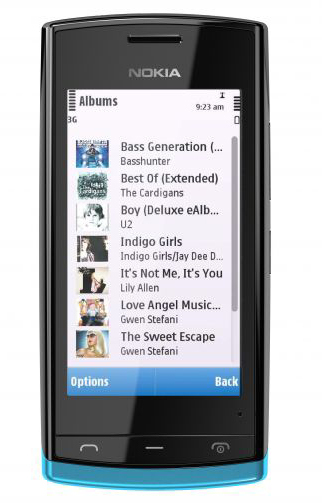 Nokia 500 is almost the same hardware specs with the most celebrated iPhone 4 of Apple iOS. At 1GHz Processor, it is definitely fast considering today's mobile apps. But of a very large difference in market price, except changes may come. Nokia 500 is good purchase looking at phone speed handling to process. Nokia 500 Phone Review and Features Overview posted at Cebu Events Blog. 1 comments: on "NOKIA 500 Quick Feature Overview - Fast yet Affordable Smartphone"